Mistakes happen. If you're driving a rental car and accidentally refuel with the wrong kind of gas, what do you do? Here's our step-by-step guide. Most gas stations offer three grades of gasoline: Regular, mid-grade, and premium. If you aren't sure which grade of gas to put in your rental car, there are a few clues. There are usually a lot of visual cues as to the fuel type required of a rental car. The fuel type might be listed on the instrumentation console, by a sticker near the driver, or even on the fuel-door release button/switch. Once outside the vehicle, the fuel type is almost definitely going to be listed on the gas cap or fuel door. The vehicle owner's manual might even be in the car. Unless the rental car company specified using premium fuel, it's okay to use regular gas. The only time you need to use premium is if your car's manual requires it. If the car was designed to run on regular gas (87 octane), there's no benefit to using the costlier premium gas. It's hard to mistakenly put diesel into an unleaded-fuel tank in the United States. Diesel fuel nozzles are intentionally larger than those for unleaded fuel. On the other hand, when driving in the United Kingdom, it's possible to put unleaded fuel into a diesel tank. To make matters worse, the color-coded fuel handles are not the same as in the United States. It's no wonder 150,000 U.K. cars are misfueled every year. 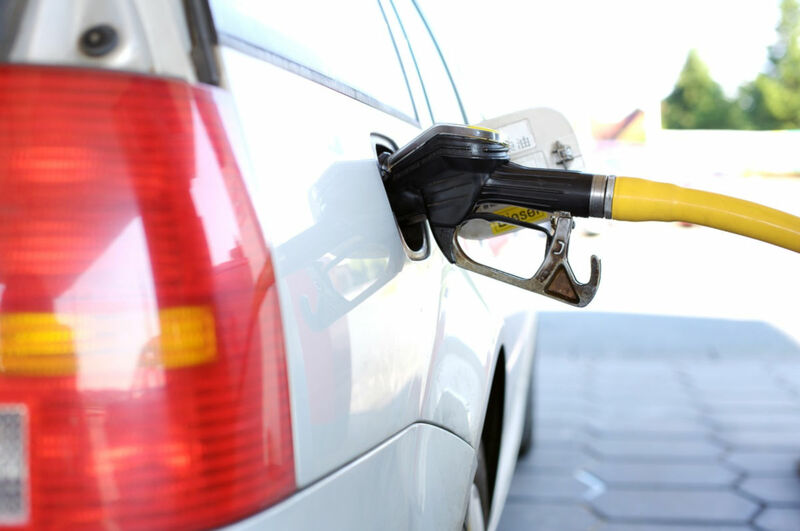 Meanwhile, the European Union just introduced a new common set of fuel labels (E5, E10, E85), to signify ethanol fuel mixtures, on newly produced vehicles and at all filling stations dispensing gas, diesel and other fuel types. These labels will be placed on the nozzles of all filling pumps, on the pumps themselves and near the fuel filler flap/cap of newly produced vehicle. They should also appear in the vehicle owner's manual, and they may appear in the electronic handbook available via a vehicle's infotainment center. We're not going to lie. If you mistakenly put diesel fuel in a car, it's a costly mistake, since almost no insurance plan will cover that form of human error. 1. Do not start the car. Once the car is started, the cost of repair goes from expensive to really expensive. If you realize your mistake but never turn the ignition, the cost to remedy the problem can be minimized by completely draining the fuel system before any of the inappropriate fuel hits the engine. 2. Move the car. Put the car in neutral. Ask someone help push the car to a safe place. 3. Inform the rental car company. Be sure to note that the vehicle was misfueled but not started. 4. Find out where to have the vehicle returned. Call the rental car company and ask where it would like the car brought. 5. Call roadside assistance. If you have your own roadside assistance, use it to get a tow back to the rental car company. Note that if the rental car company tows the vehicle, you will be charged per mile. Do not feel compelled to find a service station to make the repair; this will violate the rental company contract and may even land you on the "Do Not Rent" list. The rental car company is likely to remove the vehicle from service, which means a loss-of-use fee, service cost, and administrative fees. 1. Pull over safely. If you've already driven out of the gas station before realizing that you misfueled the car, you should pull over somewhere safe. 2. Remove the key from the ignition. The longer the engine runs the more likely you are to wreck expensive components in the engine. Symptoms of misfueling include erratic acceleration, misfires, and excessive smoke from the exhaust. If the engine seizes, you could potentially be on the hook to replace the whole engine. 3. Inform the rental car company. Be sure to note that the vehicle was misfueled and started. 5. Call roadside assistance. If you have your own roadside assistance, use it to get a tow back to the rental car company. Unfortunately, the rental car company is likely to remove the vehicle from service, which means a loss-of-use fee, repairs, and administrative fees.